Behavior Change Institute employs a highly motivated team of specialists who are dedicated to ensuring the best possible outcomes for individuals diagnosed with autism and their families. Our clinical teams are comprised of uniquely trained individuals including Board Certified Behavior Analysts (BCBAs) and Board Certified Assistant Behavior Analysts (BCaBAs) and Registered Behavior Technicians (RBTs™). All of our clinical professionals and RBTs adhere to the guidelines set forth by the Behavior Analyst Certification Board (BACB), including rigorous requirements related to education, training, clinical supervision and competency. BCBAs posses a Master’s or Doctoral degree in ABA or another related field, meet appropriate supervision and experience requirements established by the BACB and have passed the Board Certified Behavior Analyst (BACB) examination. Our BCBAs are carefully selected to ensure their values align with our agency. BCaBAs possess at least a Bachelor’s degree in ABA or another related field, meet appropriate supervision and experience requirements established by the BACB and have passed the Board Certification examination Our BCaBAs are supervised by Master’s Level Behavior Analysts. 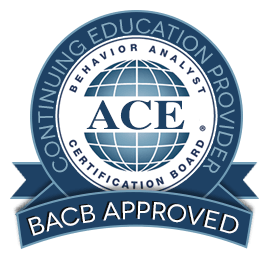 BACB credentials are currently the basis for licensure in those states where Behavior Analysts are licensed. Behavior Change Institute’s Behavior Analysts possess licensure in all applicable service locations where licensure is required. The Registered Behavior Technician™ (RBT™) is a paraprofessional who provides direct behavior-analytic services under the supervision of a BCBA or BCaBA. RBTs are required to possess at least 40-hours of ABA training, pass the RBT Competency Assessment, pass the RBT examination and maintain active certification in Basic Life Support (BLS). Our Registered Behavior Technicians are selected based on their experience working with children with disabilities, strong interpersonal skills, and consistent demonstration of values that align with our agency.